It's a wonderful Monday and time for a new Merry Monday Christmas Challenge! 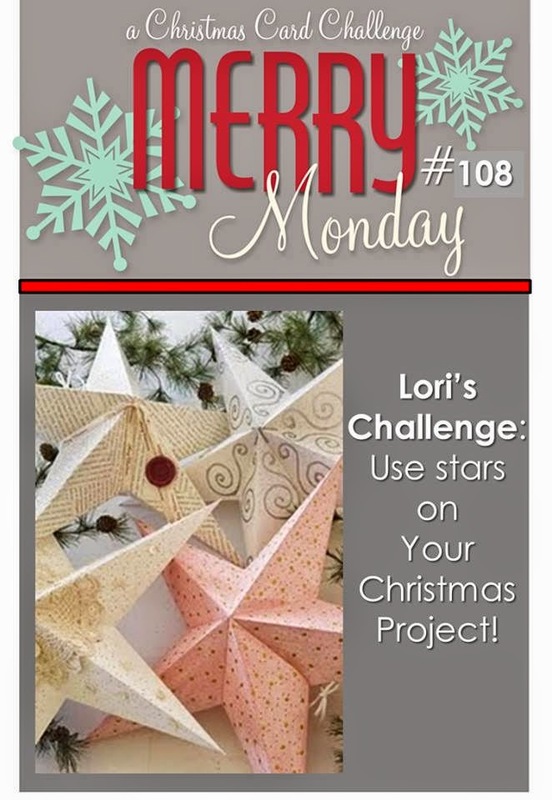 Lori has a fabulous challenge to use a star on our Christmas project! We hope you'll join us this week. Pop on over to the challenge blog to see what the Design Team has put together to inspire you! 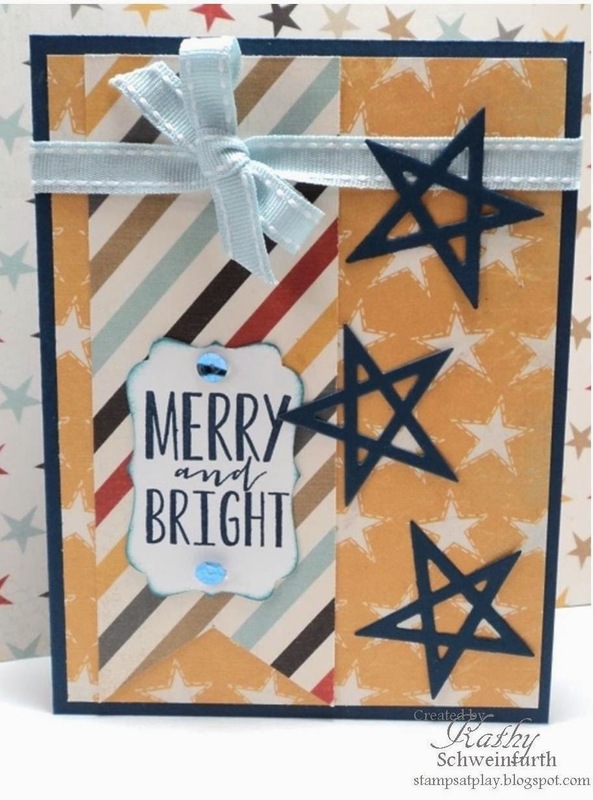 Love the cut out stars Kathy and the non traditional colours you used this week. Fabulous Merry and Bright card Kathy, I love the great papers and colours. Such pretty colors, Kathy! And I love those stars! Have a great week! Love those stars, Kathy! Fabulous card and a gorgeous color scheme. Super cute Kathy, the unexpected color combo looks great! Love your card and the fabulous stars. Nice color combo too. OMGoodness, those little stars are the cutest thing ever! Are they diecuts? LOVE them! I love your stars, Kathy! I have these dies and haven't used them yet. Thank you for the inspiration. Have a great rest of the week. I love the colours you went with Kathy. Very merry and bright! Kathy, I just have to say wow to all your card creations on your blog before I got to this post. Although I am strictly Stampin' Up!, you girls have tempted me to go outside the box and I've been purchasing from other companies as well lately. Fabulous cards! Such fabulous stars Kathy, so perfect on the background DP. Love the soft blue ribbon too. I just love non-traditional color combinations. Fabulous!